Property Sold May 2007 for $1,895,000. No Longer Available. 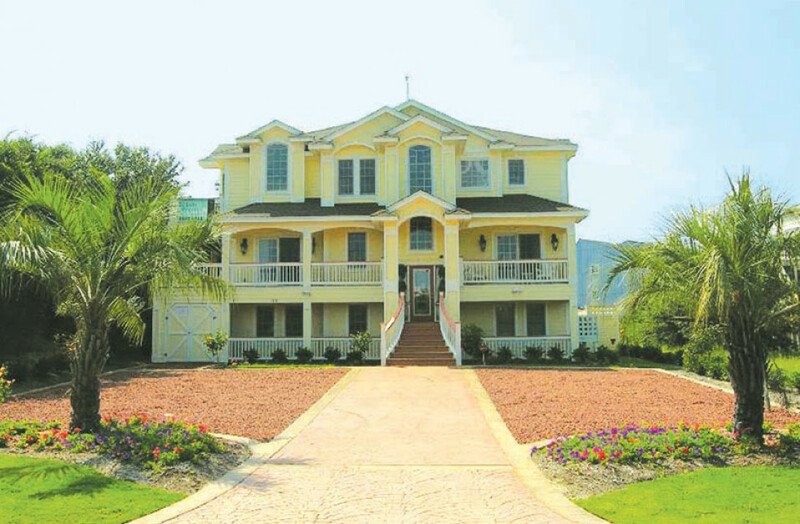 This Regal Oceanside Estate on the Outer Banks is richly appointed with unsurpassed amenities. Home boasts Italian Marble throughout, hand painted murals and custom Iron Balustrades. Professionally decorated with only the finest designer furnishings and attention to detail. Located in an exclusive community (Ocean Crest) on the beautiful Outer Banks of North Carolina. This regal estate is a richly appointed oceanside accommodation with panoramic ocean to sound views. The properite’s gracious design has unsurpassed amenities. This home boasts endless ornate custom designed Italian marble throughout, hand painted murals custom iron balustrades. It is professionally decorated with the finest designer furnishings and it features state-of-the-art electronics. Many recreational features including a Gentlemen’s Sport Bar with Billiards Table and Game Table. Theater Room with 119″ Projection Screen and Reclining Theatre Seating. Fabulous Outdoor Living with 19’ by 34’ Heated Riviera In-Ground Pool, Signature Lane Pool House, and Custom Rock Waterfall. Hand-Painted Glass Elevator permits easy accessibility to every floor of the home.